The Federal Reserve was back in the limelight Wednesday but there was little new news. The minutes from the Fed's June meeting showed many of the 12 Fed voting officials said they need to see further improvement in the job market before they'd be willing to gradually start winding down the stimulus program. U.S. stocks initially bounced but returned to the breakeven line soon after as investors realized the comments were closely in line with Fed chairman Ben Bernanke's announcement last month. The Dow Jones industrial average slipped 0.1%, the S&P 500 finished flat and the Nasdaq gained 0.5%. "The minutes didn't say anything that different from before," said Joe Saluzzie, co-head of equity trading at Themis Trading. Last month, Bernanke said the Fed may begin pulling back on its bond purchases later this year, and wind down the program entirely by mid-2014, if the economy improves in line with its expectations. Investors will be looking for more clarity from Bernanke, who is on tap to speak before the National Bureau of Economic Research in Cambridge, Mass., after the markets close. What's moving: Corporate earnings, which started coming in this week, are also in focus. U.S. stocks have been moving higher over the past few trading sessions on underlying optimism about second-quarter earnings results. That's put the major stock indexes back in sight of all-time highs set in late May. 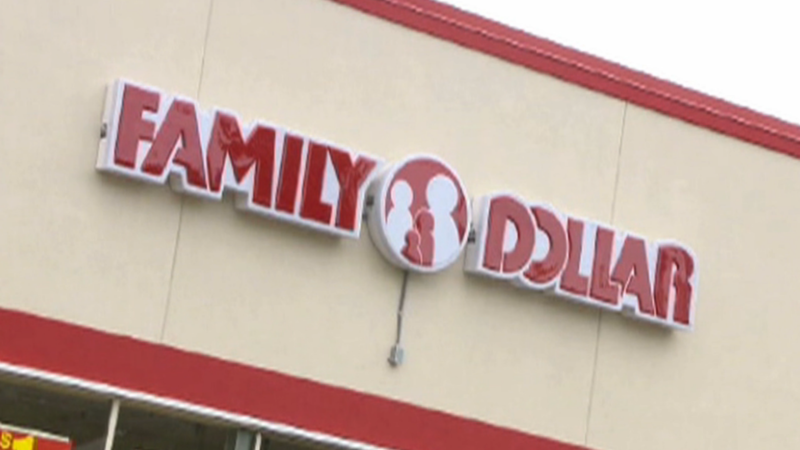 Family Dollar (FDO) shares climbed sharply Wednesday after reporting a better-than-expected profit and a 10% jump in sales. More company results are due Wednesday, with restaurant operator Yum! Brands (YUM) set to report after the close. Overall, quarterly earnings for companies in the S&P 500 are expected to grow 0.8% versus last year, according to FactSet. Meanwhile, shares of Cliffs Natural Resources (CLF)were higher after the mining company announced that Joseph Carrabba is stepping down as chairman and will retire from his CEO post at the end of the year. 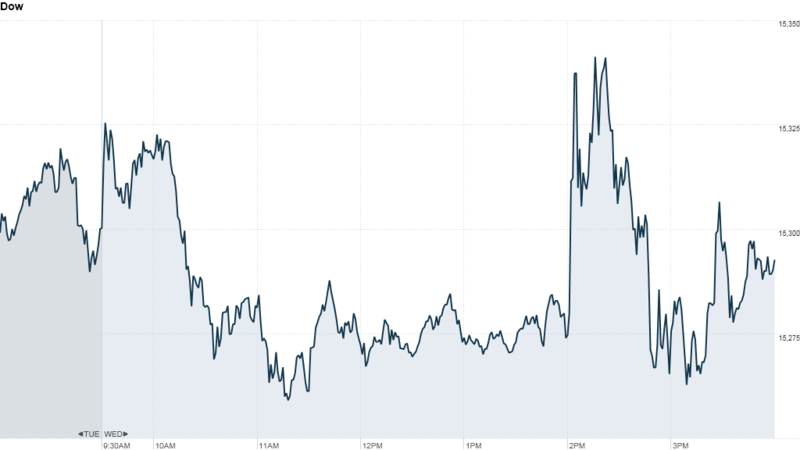 Hewlett-Packard (HPQ) stock jumped following an upgrade from Citigroup. European stocks ended in the red Wednesday, but shares of the U.K.-based fashion retailer Burberry (BBRYF) bucked the trend, rising by nearly 5% after its quarterly results that beat expectations. Asian markets ended mixed. Markets in China rallied after weaker-than-expected trade data fueled hopes that Beijing might relax monetary policy to support the economy. The Shanghai Composite index surged by 2.2%. The Hang Seng index gained 1.1%. Japan's benchmark Nikkei index moved 0.4% lower.